DENVER, Colo. /eNewsChannels/ — NEWS: In response to the estimated 287,279 pounds of legal marijuana that will be sold in Colorado this year and the millions of containers used to package it, Higher Standard Packaging of Denver announced today the introduction of the first eco-friendly containers composed of FDA-approved, recycled milk jug plastic and manufactured specifically for the marijuana industry. R2 Containers are created from recycled milk jugs consisting of 100 percent high-density polyethylene (HDPE-2). Manufactured in the U.S. and BPA free, this resin meets stringent purity standards through a patented cleaning process that eliminates all contaminants without exposing the resin to any chemical treatments or processes. The FDA has approved the recycled resin for food contact. The resin meets strict sustainability standards and according to EPA data, it accounts for far less environmental impact than virgin resin used in other containers. Production of recycled resin uses 90 percent less energy and emits 78 percent less greenhouse gases than virgin resin. 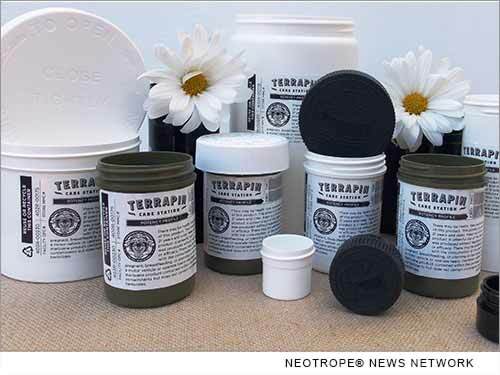 Higher Standard Packaging announced that Terrapin Care Station, with two dispensaries in Boulder and two dispensaries opening in Aurora, will be the first cannabis company in the nation to package marijuana using R2 Containers. Christine Kirk, with a degree in environmental science and the packaging manager for Terrapin Care Station, inspired the search for more environmentally-friendly packaging last January as she watched thousands of plastic bottles leave the dispensaries. Higher Standard Packaging, doing business under the umbrella of d&b consulting, llc, was founded in Denver, Colorado last February by Barbara Diner and Deborah Baker. “Our company caters to finding packaging solutions for the cannabis industry, and these containers are the result of the market demand for eco-friendly packaging,” said Baker. Offering a truly “green” option to the cannabis industry that is competitively priced, Higher Standard Packaging is currently taking orders for R2 Containers in numerous sizes, suitable for packaging concentrates to an ounce of cannabis. For more information, contact Barbara Diner or Deb Baker at Higher Standard Packaging at 720-583-6535, or visit the website, http://www.higherstandardpackaging.com/ . To learn more about Terrapin Care Station, email info@terrapincarestation.com. This version of news story is Copr. © 2014 eNewsChannels™ (www.enewschannels.com) and the Neotrope® News Network – all commercial and reprint rights reserved. Unauthorized reproduction in whole or in part without express permission is prohibited.